Fair Market Rent is the estimated amount of money property with a certain number of bedrooms, in a certain area of the country, will rent for. Fair market rent is a gross rent estimate that includes the base rent, as well as any essential utilities that the tenant would be responsible for paying, such as gas or electric. It does not include non-essential utilities such as telephone, television, or internet. HUD arrives at the numbers for each area with the help of census data and through renter surveys. Every year, HUD compiles a list of the Fair Market Rents for over 2,500 metropolitan and non-metropolitan counties. What Is Fair Market Rent Used For? Fair Market Rents are used to determine rental voucher amounts for government assistance housing programs such as Section 8 (Housing Choice Voucher Program). In the city of Newark, New Jersey, the fair market rent for a two-bedroom apartment is $1200. The fair market rent for a one bedroom is $1000. Section 8 is a program that provides financial assistance to certain individuals to help them afford to rent a home. The program gives housing vouchers to these individuals. To qualify to receive a voucher, you cannot make more than a certain amount of money each year, based on the number of people in the household. If a landlord agrees to rent to a Section 8 tenant, the Section 8 program will first inspect the property to make sure it meets certain standards. If the property passes the inspection, then the landlord will be paid directly each month by the Section 8 program. How Much Will Section 8 Pay? Section 8 will determine the voucher amount by first figuring out the number of people in the household. It will then determine the size of the apartment the household qualifies for. For example, a three-person household may qualify for a two bedroom voucher. Since the fair market rent for a unit can vary greatly depending on the area of the country the unit is located in, Section 8 will then set the voucher amount by using the fair market rent for the specific region. Depending on the tenant's income, the voucher may not cover the complete amount of the monthly rent. 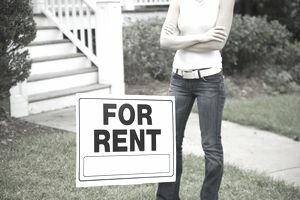 The tenant may still be responsible for paying a portion of the monthly rent. Location: The location of your unit plays a huge part in setting the rent. If your property is located in a desirable town, you can charge more. If your property is located in the best school district in the town, you may be able to get an even higher rent. Two units which are only two blocks away from each other can command very different rents because they are in different towns or in different school districts. Size: There will be a maximum amount you will be able to charge based on the square footage and number of bedrooms and bathrooms your unit has. Amenities: If your property has a great view, outdoor space, central air conditioning, or is newly renovated, you may be able to charge more for your unit compared to other units in the area which are similar in size to your unit. Demand: If there are many available units in your area and not that many interested renters, you may have to drop the price on your unit to get it rented. It can be very tricky to price your rental correctly. It involves trial and error. Finding at least three properties in your area which are similar to yours can be helpful in determining the right price.